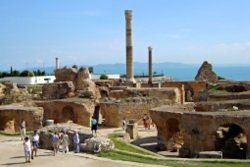 It is, indeed, an exceptional experience to visit the site where in ancient times the mighty Carthage was located. Only a few remains bear witness to this legendary city which developed about 3000 years ago on the Gulf of Tunis from a Phoenician colony. According to Dionyssios von Halikarnasos the foundation dates back to 814 BC. 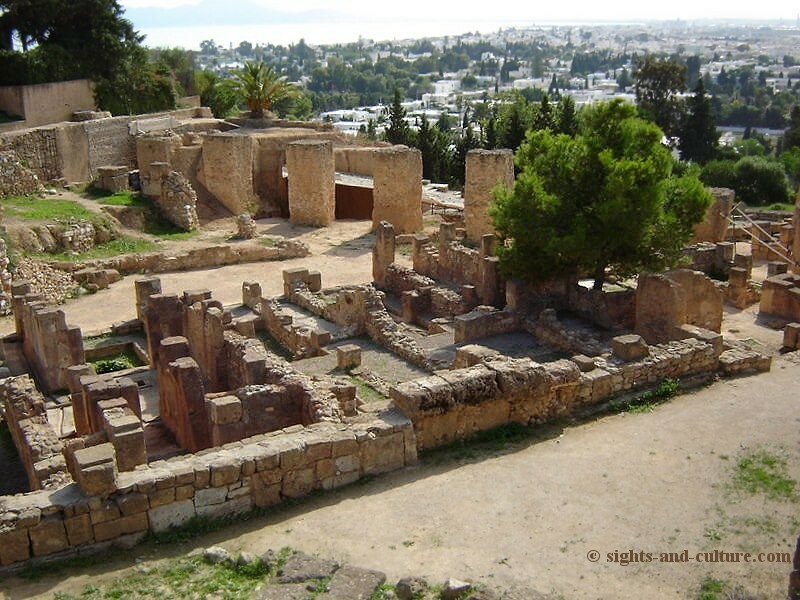 The centre of the city was the Byrsa Hill, the acropolis of Carthage as it is today. Southeast of the hill a Punic residential area with multi-storey houses made from mud brick on stone foundations was excavated. 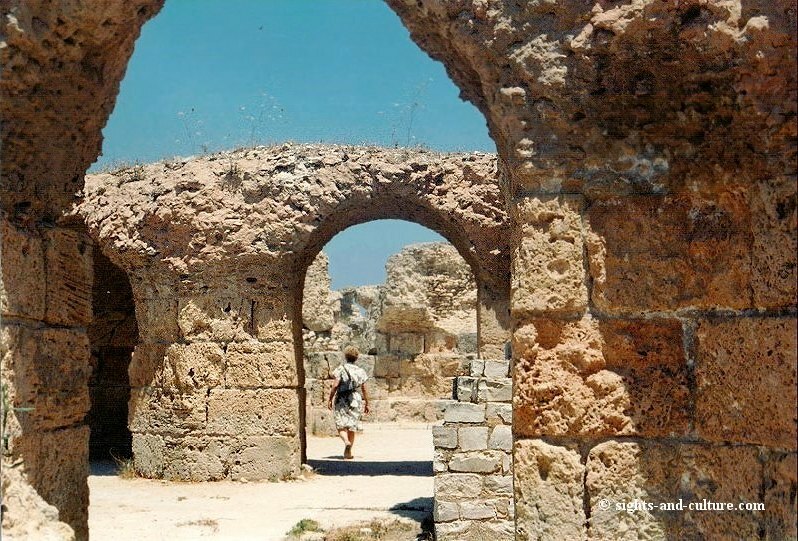 They had courtyards, mosaic floors, swimming pools and underground cisterns to collect water. 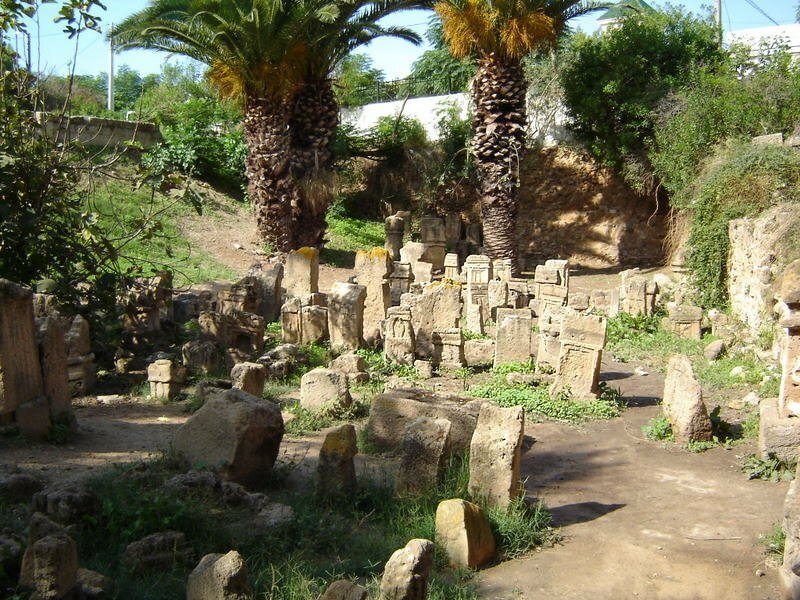 The holiest site of Carthage was the Trophet, a cemetery and ritual site. In the course of excavations 12 layers of graves from the 8th cent B.C. 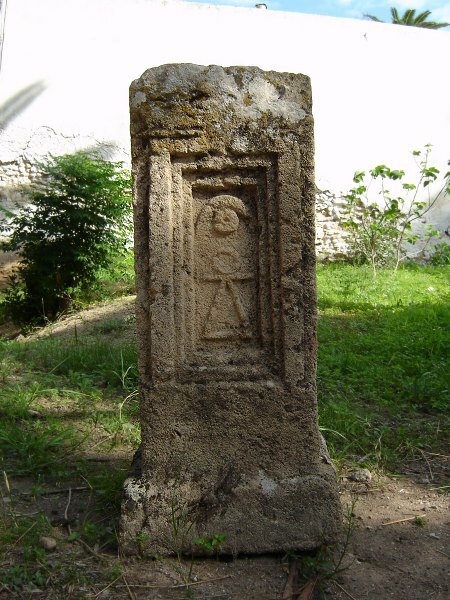 up until the early years of the Christian period were found as well as 1,500 steles with inscriptions and religious symbols. The excavations revealed the remains of infants and children in large numbers which suggests possible evidence of child sacrifices. After its foundation the city developed into a flourishing commercial centre and soon became one of the most important trading and sea powers. In the 4th and 3rd centuries B.C. 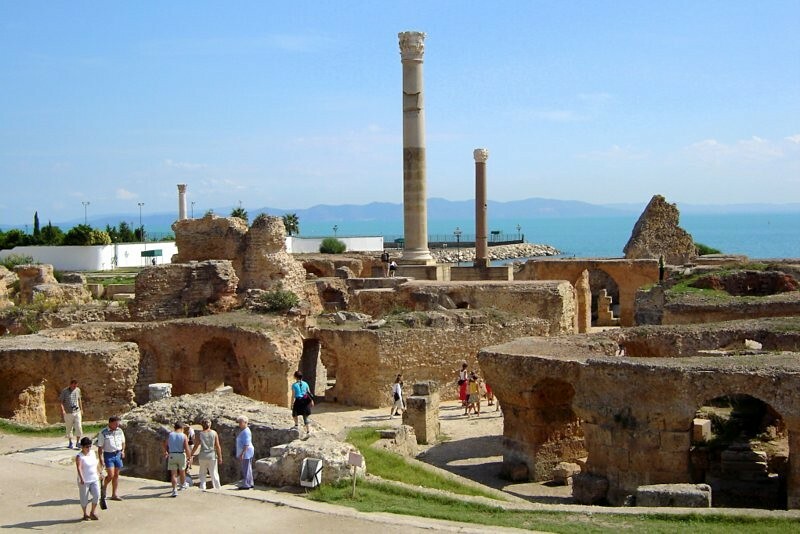 Carthage had become the richest city in the Mediterranean area. 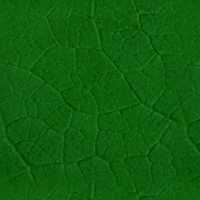 The city had 400,000 inhabitants and a further 100,000 were living in the adjacent agricultural areas. Their navy included some 300 to 350 warships! Rivalry with Rome and Syracuse led to several wars. Best known are the “Three Punic Wars” (264 to 241 BC /218 to 201 BC /149 to 146 BC) between the Carthaginian Empire and the expanding Roman Republic, which have been among the most costly traditional battles of human history and – Carthage lost them all! 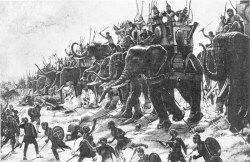 The second Punic war became the most famous due to Hannibal’s incredible crossing of the Alps with 37 war elephants, probably 50,000 infantrymen and 9000 cavalry. However, in spite of crushing victories over Roman armies in Italy, this war ended in Hannibal’s own country with a heavy defeat at Zama, after which Carthage lost its foreign sovereignty. In the third Punic war, Carthage finally met its Waterloo. It ended with the complete destruction of Carthage and the enslavement of its inhabitants! The end of ancient Carthage. In the course of Islamic expansion Arab troops under Hasan ibn al-Nu’man defeated Carthage in the Battle of Carthage in 698 AD. It ended the reign of the Eastern Roman Empire. 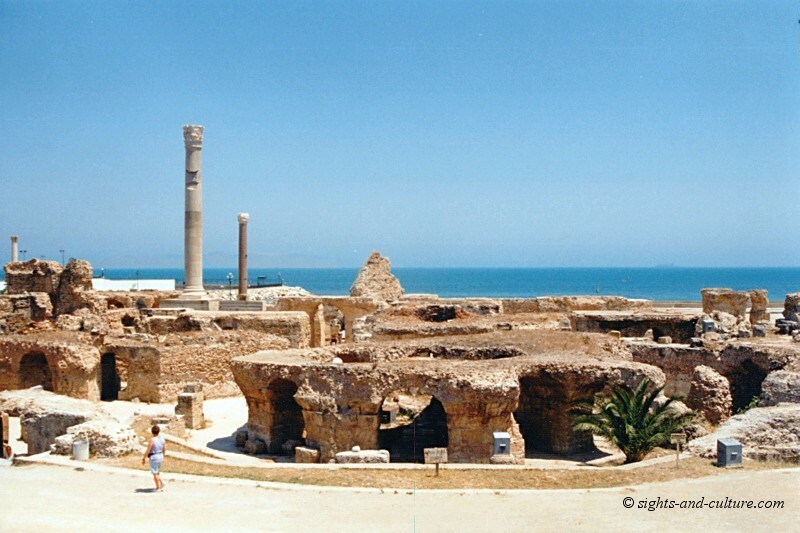 Roman Carthage was destroyed just as the Romans had destroyed Carthage in 146 BC. 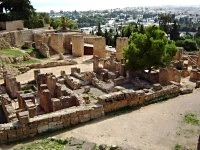 Carthage still is a popular tourist attraction and noble residential garden suburb of Tunis, where also the Tunisian presidential palace is located. On the Byrsa there is the largest church of North Africa, the Cathedral of St. Louis, built in 1890, which was up to 1965 the Episcopal see of the archbishop of Carthage and is a cultural centre today.